There is a great fight going on in this country and right now it looks like the evil wolf is winning. As this nation implodes, I have hope that eventually we will find our way back to those fundamental values of compassion, equality, justice, respect, truth, and peace that most of us cherish. But right now it’s grim. For so many of us here and around the world, watching this horror unfold daily has been like drinking out of a fire hose. Getting drenched with discouragement. And I’m reminded of the quote from the Tao Te Ching about letting the mud settle and the water become clear. These past months, especially my time in Ireland, have allowed both settling and clarity. I am clear that, for me, too much focus on this unraveling of a nation engenders anger and fear and sorrow. And it feeds the evil wolf – my time, attention, passion, and creativity. Energies I would rather feed the other wolf. So now a shift in focus. A shift in engagement. A shift in my work. Yes, there will still be times to strongly resist what is going on, to offer shelter and support for our sisters and brothers who are suffering. But for now it’s all about the wolf I choose to feed. Aho from Arizona… I agree. We feel it’s important to honor our Mother Earth 🌏 with Dawns first Light. Hey Kurt. So wonderful to hear from you. And thank you so much. As I mention in the post I just now published, there is such harmony with the wisdom of the indigenous ancestors…here and in Ireland. And so many connections. And Gratitude is one of the energies fundamental to both. Manitonquat is eloquent on this….and the Irish people know this by heart and soul. Again….thank you for your blessing. Beannacht, Judith. Yes, hopefully we can feel when we are feeding the wrong wolf. 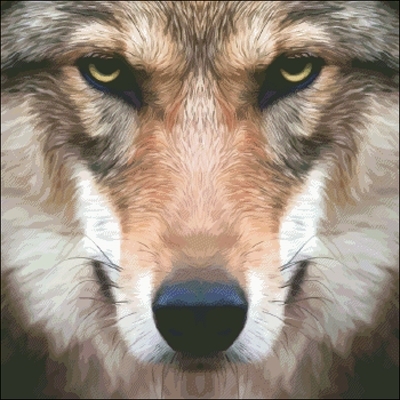 Following an earlier post of yours, I am trying to pray for the administration and congress that they feel the loving wolf that is in them instead of the wolf they seem to be feeding. A friend of mine said her mother used the analogy of certain pines needing fire to reseed. We are in the midst of the fire and hopefully reseeding love and compassion. Yes. Indeed. May we be awake to the wolf we are feeding. I agree that this fire has been a long time in coming. And we need to be ready to re-seed….we need our energy, passion, and creativity. Thanks for your prayers for those in power. I actually think so many of them have gone to the dark side so completely that our prayers are just not going to get through. Less discouragement than discernment for me about where to focus my energies.